The church-school partnership is a cornerstone for the work that the Methodist Schools’ Foundation (MSF) does. As the MSF aids the Methodist schools, it is done so in the spirit and with the support of the Methodist churches, and serves as an extension of Christian service to touch the lives of children in these schools. For more than two decades, many hands have come together to do the work of God in this special ministry. Entrusted with the mission of raising funds for all Methodist schools to enable them to achieve excellence, the MSF’s objectives are: to aid in the building and improvement of school buildings and facilities; to fund educational equipment and teaching aids; and to provide educational subsidies, grants, and bursaries to needy students. Incorporated in 1997 as the Methodist School Buildings Endowment Fund (with an initial kitty of $5 million), its name was later changed to the present Methodist Schools’ Foundation in 2001. The circumstances that led to the establishment of the MSF were certainly unique. 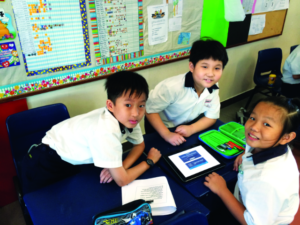 In 1995, the Singapore Tote Board offered to grant all Methodist schools (then numbering 12) some money for Information Technology (IT) and library-related purchases – an offer that the Church deliberated over prayerfully, and subsequently declined. However, the Rev Dr Isaac Lim and Mr Tan Wah Thong recognised the pressing need of our Methodist schools to begin investing in IT to support education. They pursued other avenues to meet this need, and finally the 20th Session of Trinity Annual Conference in December 1995 saw the in-principle approval for the establishment of an endowment fund for the Methodist schools. Today, as an Institution of a Public Character (IPC), the MSF is governed by a 14-member Board of Trustees and assisted by an investment committee. In the aftermath of the financial crisis in 2009, increasing numbers of children in Methodist schools needed more financial help which was not always available from the Ministry of Education then. Responding to the suggestion of the MSF, the Chen Su Lan Trust gave $2.92 million as an endowment to the MSF to administer financial assistance and bursaries to students in need. Through the years, the fund has grown and is being disbursed to needy students as identified by their schools. An event close to the hearts of the Methodist schools, MSF volunteers, and the Methodist churches is the biennial ‘MethodistWalk’. 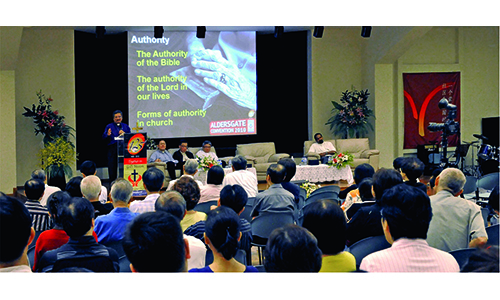 Being one of The Methodist Church in Singapore’s (MCS) signature events, the Walk usually attracts some 5,000 participants to come together to walk as one Methodist family. The Walk functions as an event for students from our 16 Methodist schools to raise funds for their school. Avenues like the MethodistWalk enable the upgrading of science laboratories, development of school libraries and IT networks, and funding for art resources, special needs rooms, and performing art studios. But more importantly, extending beyond the physical upgrades of brick-and-mortar school buildings, are the spirit, legacies, and memories of the Walk that will endure in the hearts of our students. Before the Walk, students are given donation cards to garner funds. 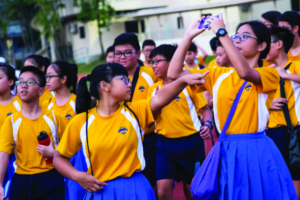 The school leaders tirelessly galvanise large student contingents to participate in the walk – ranging from 2 to 4 km – on the selected Saturday morning. The Methodist churches chip in to underwrite event costs and make donations, while their members don the Walk T-shirts or caps to join in the event. 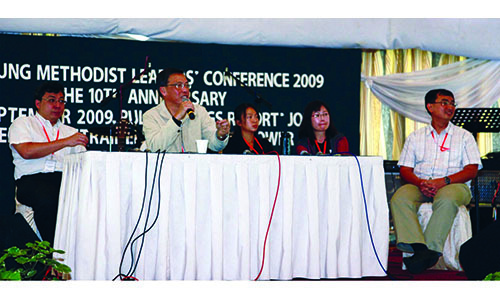 The MethodistWalk began in 2002, when the Methodist schools started to take ownership of their fundraising. 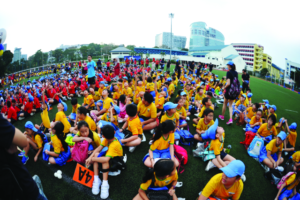 In compliance with the fundraising efficiency ratio of 30/70, up to 30 per cent of funds raised were used to cover the Walk expenses, and the schools received the remaining 70 per cent. Truly God’s blessing flowed in abundance, when the Church came into the picture during the 2007 MethodistWalk! 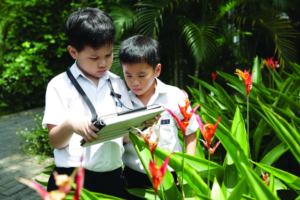 Wesley Methodist Church became the first church to underwrite all event expenses, and having a church sponsor meant that the schools received 100 per cent of all funds raised. Subsequent Walks were sponsored by Paya Lebar Chinese Methodist Church, Telok Ayer Chinese Methodist Church, and Barker Road Methodist Church. For the 2017 Walk, Foochow Methodist Church, Holy Covenant Methodist Church, Queenstown Chinese Methodist Church, and Toa Payoh Chinese Methodist Church came together as sponsors. The MethodistWalk will return in 2019. 2018 remains a season for ministry and stewardship for the MSF. We submit ourselves to God as an instrument through which He provides for the students He calls into our schools. We also continue to enhance the Church and school partnership in our interactions. With donations and offerings from Methodist churches throughout the year, the MSF is privileged to have them remember our schools and their needs. This year, we will continue to organise fundraising efforts. These include the ‘MSF Donation Envelope’ programme with Methodist churches. Apart from the biennial MethodistWalk where funds go directly to the schools, we have not held events to raise funds for MSF’s disbursement over the past few years, so we will be looking to hold themed fundraising dinners in 2018, which we welcome your participation in. If you have other great ideas to contribute, or would like to offer partnership, sponsorship, or volunteer service, do email foundation@methodist.org.sg – we’d love to hear from you! We lift these plans to the Lord, praying that the Church and school partnership would bear fruit, labouring together in this service of educating our future generations in a Christian environment. Let us remember what the Bible says: “Behold, children are a heritage from the Lord, the fruit of the womb a reward” (Psalms 127:3). To God be all glory! is a member of the Board of Trustees of the Methodist Schools’ Foundation.